2,051 stock photos, vectors, and illustrations are available royalty-free. 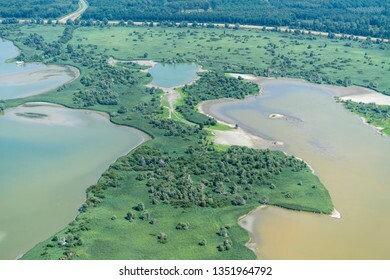 Aerial view of a nature reserve area in The Netherlands. It is located in lake Oostvaardersplassen between Almere and Lelystad. Because of the drought some water bassins are completely dry. 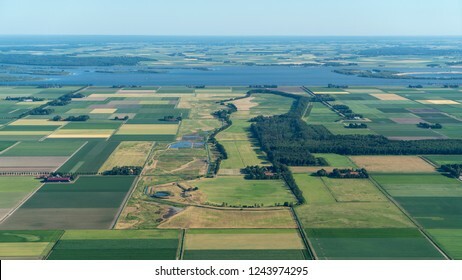 Aerial view of former island Schokland in Flevoland, Holland. 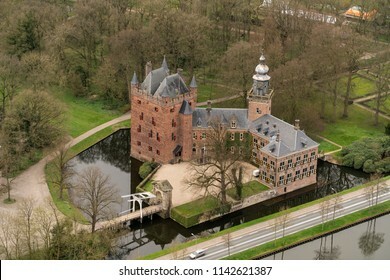 The popular archeological site was the first UNESCO World Heritage Site in the Netherlands. It is mainly meadow and farmland. 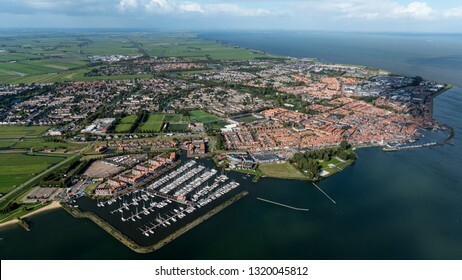 Aerial view of the city of Edam Volendam at lake Markermeer in The Netherlands. A typical dutch fisher village with a marina and an old fishermans wharf. On the horizon a blue sky with cloud streets. 10-10-2018, Amsterdam, Holland. 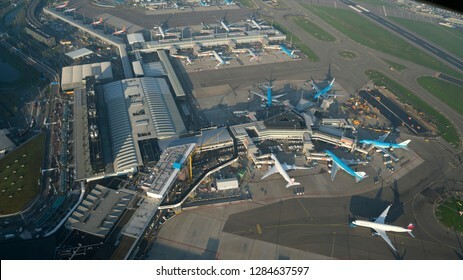 Aerial view of F gate at Schiphol Airport. The construction site for the expansion for the departure hall and arrivals building is clearly visible. 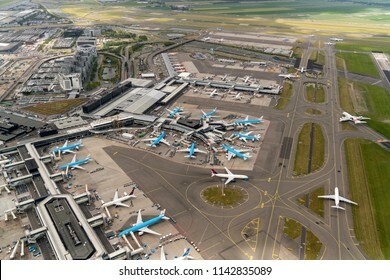 Most planes are KLM. 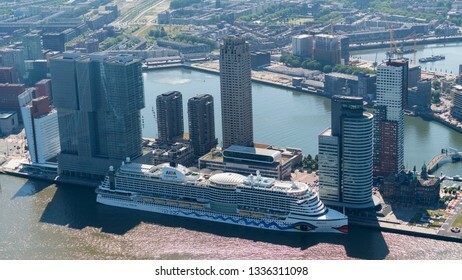 13 September 2018, Rotterdam, Holland. 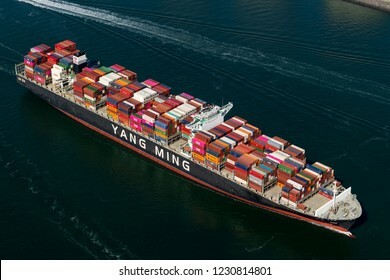 Aerial view of Yang Ming containership at the Maasvlakte at the port of Rotterdam. 24 March 2019, Amsterdam, Holland. Aerial view of Pontsteiger building. 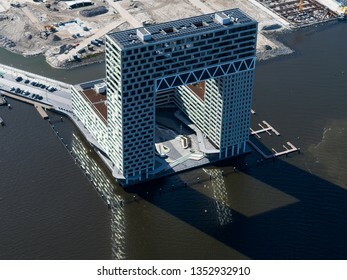 A new landmark building skyscraper in the HOUTHAVENS area in river IJ. 10-10-2018, Amsterdam, Holland. 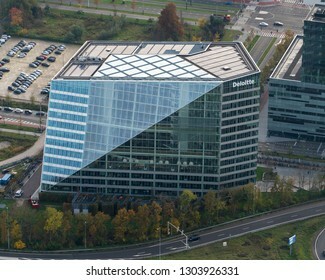 Aerial view of headquarters consultant Deloitte at the business district Zuidas. It is a sustainable glas office building with solar panels on the roof. 26-6-2017, Swifterbant, Holland. 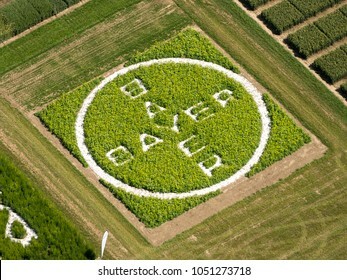 Aerial view of logo Bayer cut out in green cropfield. 14 November 2018, Amsterdam, Holland. 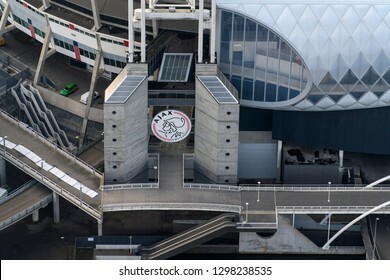 Aerial view of AJAX logo at Johan Cruijff Arena in the Bijlmermeer. 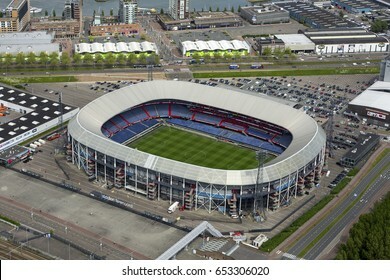 The soccer stadium is home of the Ajax football team and will host games during the Euro 2020. 2 August 2018, Urk, The Netherlands. 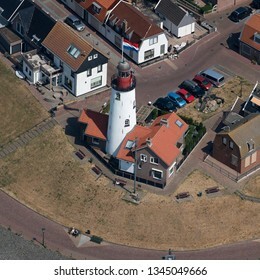 Aerial view of the lighthouse in Urk, an old fishermans town in Flevoland, Holland. It is located in a residential area on the dike at lake IJsselmeer. 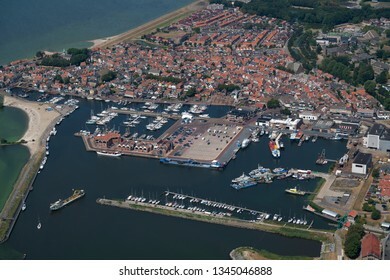 Aerial view of the city of Urk, an old fishermans town in Flevoland, Holland. It has a harbour with boats, lighthouse and an old church. 5 October 2018, Utrecht, Holland. 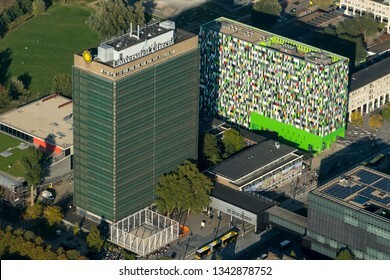 Aerial view of Casa Confetti, a colourful student building and the tower of the University. It is locates at the campus of Utrecht Science Park, DE UITHOF. 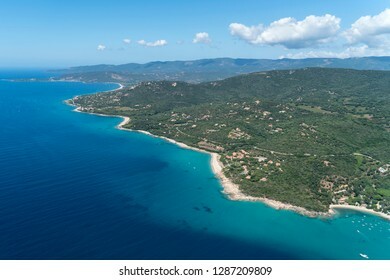 Aerial view of a sandy beach at the french island Corsica in the Mediterranean Sea. A beautiful coast for snorkling, swimming and enjoying nature. Many boats and small yachts are at the ocean. 10 April 2018, Breukelen, Holland. 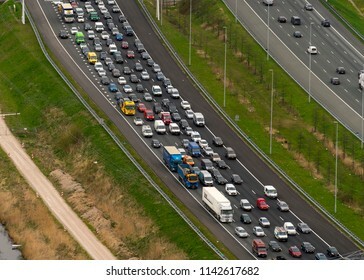 Aerial bird view of heavy traffic jam at highway A2. 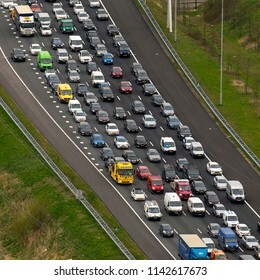 The freeway connects Utrecht with Amsterdam. 14 November 2018, Amsterdam, Holland. 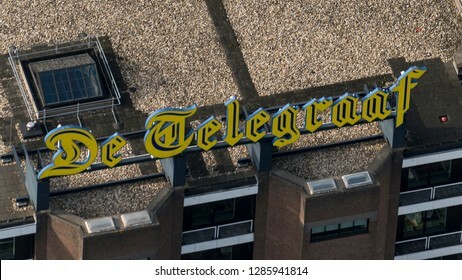 Aerial view of logo of newspaper DE TELEGRAAF at headquarter of Dutch Telegraaf Media Groep, TMG. 13-9-2018, Hoek van Holland, The Netherlands. 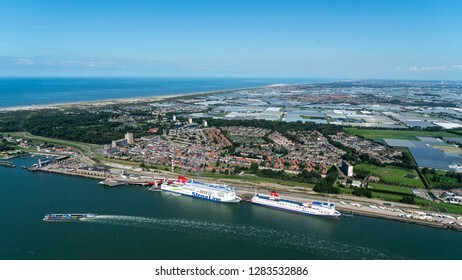 Aerial view of boats Stena Line Hollandica and Transporter in the harbour of Hoek van Holland. This is the ferry to cross North sea to Harwich, England. 8 October 2018, Lelystad, Holland. 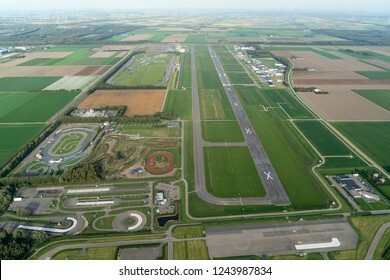 Aerial view of airport Vliegveld Lelystad after the runway has been extended. Now the aerodrome is ready to host large jetplanes and general aviation. 5 August 2018, Zandvoort aan Zee, Holland. 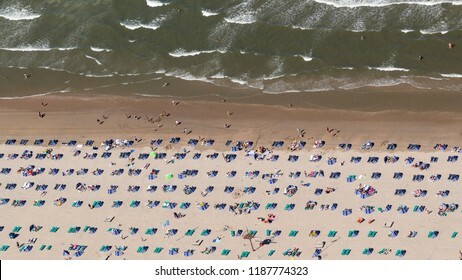 Aerial view of a crowded beach on a sunny, hot day at the Dutch coast in Zandvoort. There is a nice pattern of windshields and people in the sand. 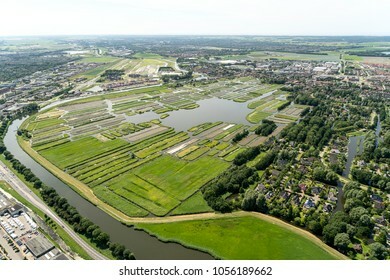 Aerial bird view photo of Solarpark De Vaandel, Located in Heerhugowaard, Noord-Holland, Netherlands. The photovoltaic power station supplies the city with green energy. 27 January 2018, Amsterdam, Holland. 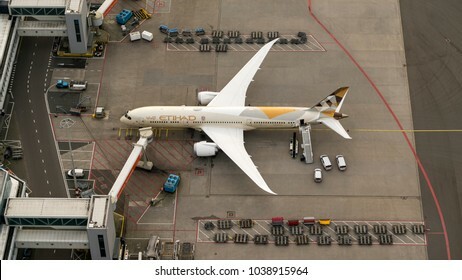 Aerial view at Schiphol Airport of a Etihad Boeing 787 Dreamliner at the gate. 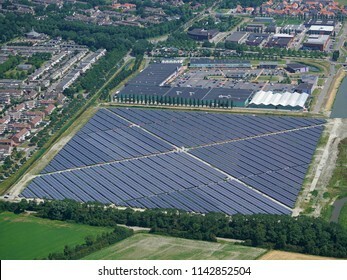 Aerial bird view of solarpark de Groene Hoek, located between Amsterdam Airport and Hoofddorp. The photovoltaic powerstation supplies the city with green energy. 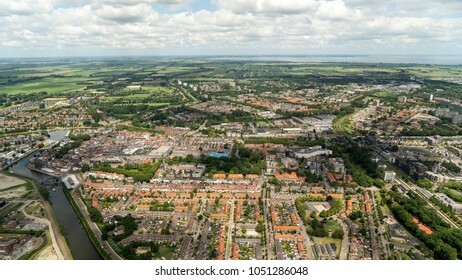 Aerial view of Purmerend, a city in the province Noord-Holland in The Netherlands. 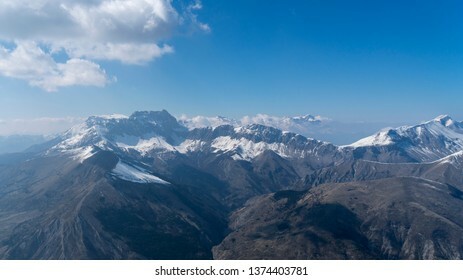 Beautiful town with a crystal clear horizon with cumulus clouds. 14 November 2018, Amsterdam, Holland. 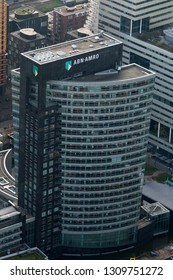 Aerial view of ABN AMRO bank tower at headquarter at the Zuidas next to highway A10. 14 November 2018, Amsterdam, Holland. 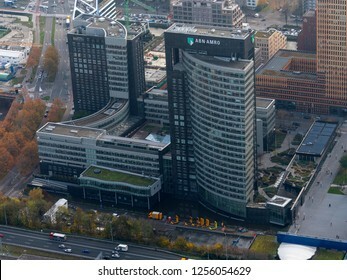 Aerial view Dutch headquarters of ABN AMRO Bank at the Zuidas next to highway A10. 14 November 2018, Amsterdam, Holland. Aerial view of Nuon Vattenfall power plant Hemcentrale in Westelijk Havengebied. White smoke comes out of the chimney. In the back some ships and the city. 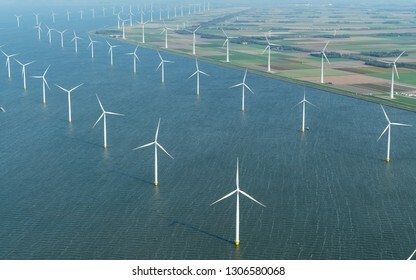 Aerial view of on shore and off shore wind farm in Noordoostpolder, Holland. The windmills are at lake IJsselmeer Flevoland to generate green power for the climate agreement Paris 2030 and 2050. 13 February 2017, Eindhoven Airport, Holland. 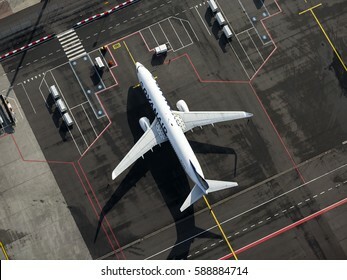 Aerial view of Ryan Air Boeing 737 EI-DWO at the gate. 6 April 2018, Provence, France. 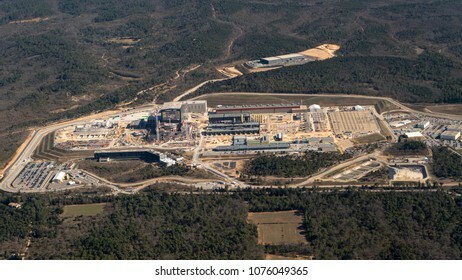 Aerial view of nuclear reactor site ITER, the International Fusion Energy Organization and atomic and energy research institute Cadarache. 10-10-2018, Amsterdam, Holland. 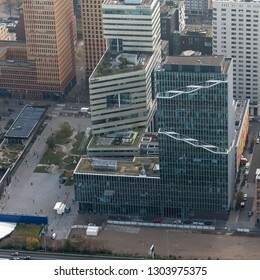 Aerial view of skyscraper headquarters of law firm Dentons Boekel at the business district Zuidas. 10-10-2018, Amsterdam, Holland. 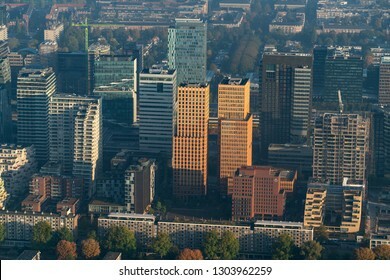 Aerial view of skyline with skyscrapers at the business district Zuidas. On this shot the headquarters of APG, Arcadis and the Crowne Plaza Hotel. 10-10-2018, Amsterdam, Holland. 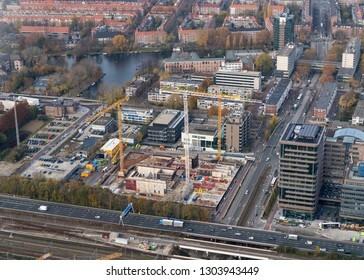 Aerial view of construction site of new Courthouse at the business district Zuidas. 10-10-2018, Amsterdam, Holland. 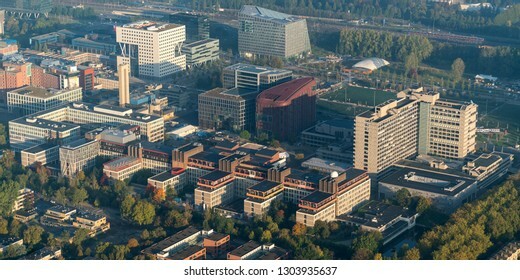 Aerial view of Vrije Universiteit Amsterdam, a large University Complex with campus. 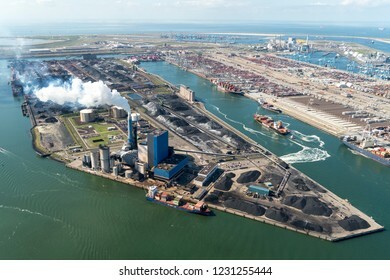 Aerial view of the dike to Lelystad, Flevoland, as seen from the city and harbour of Enkhuizen in The Netherlands. 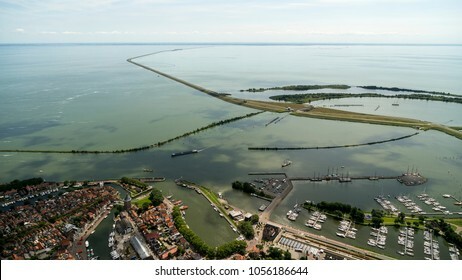 The highway divides lake IJsselmeer and Markermeer. It is a beautiful clear day. 7-7-2018, Heemskerk, Holland. 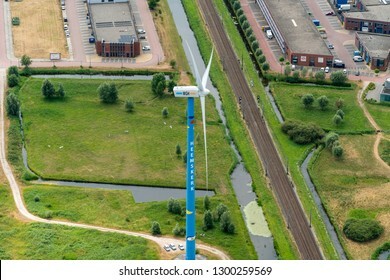 Aerial view of a blue WGH windturbine with the sign HEEMSKERK written in big letters. The windmill is located at industrial area DE TROMPET next to a railway track. 21 June 2018, Hoofddorp, Netherlands. 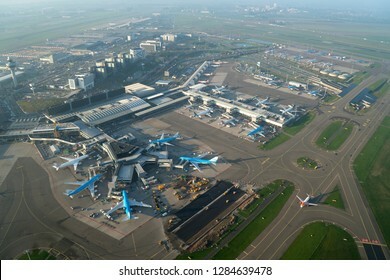 Aerial bird view of Schiphol Amsterdam Airport on a cloudy day. 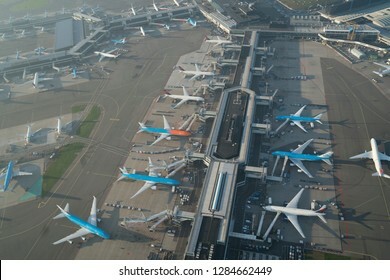 A lot of KLM jets are parked at the gate. 30 June 2018, Heerenveen, Holland. 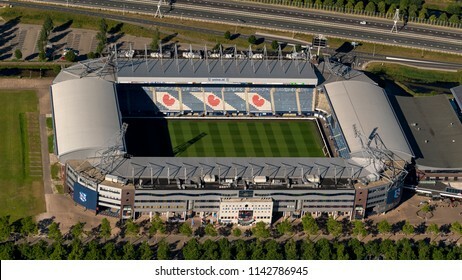 Aerial bird view of soccer stadium ABE LENSTRA STADION in the dutch province Friesland. The logo of the Frysian flag is visible on the seats of the tribune. 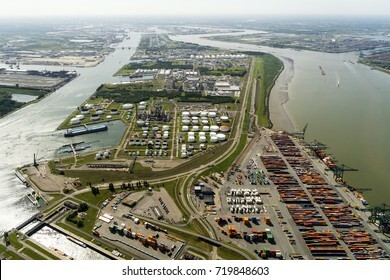 Aerial view of harbour in Antwerp, Belgium. 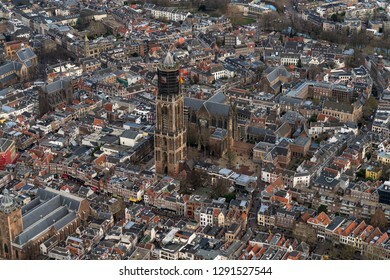 3 -1-2019, Utrecht, Holland. Aerial view of Dom church, downtown. The tower is being renovated and a large black scaffolding has been built around it. Many shopping streets and authentic houses. 23 June 2018, Muiden, Netherlands. 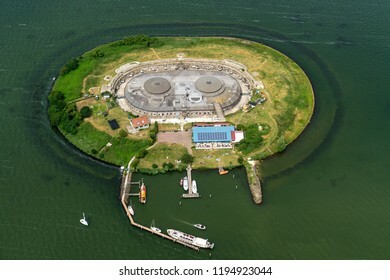 Aerial view of the fortress island Pampus in lake Markermeer in the vicinity of Amsterdam, province Noord Holland. Ships ar in the small harbor. 18 September 2018, Middenmeer, Holland. 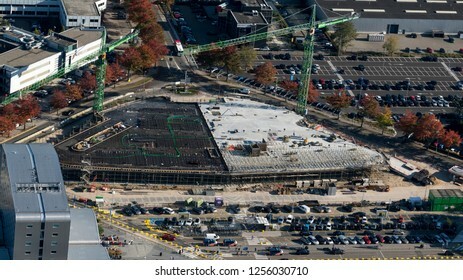 Aerial view of construction site for a new Microsoft datacenter. 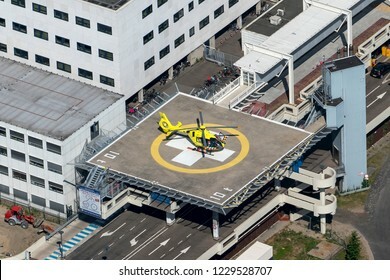 The huge building is located along highway A7 in the province NOORD HOLLAND. 10 April 2018, Zoetermeer, Holland. 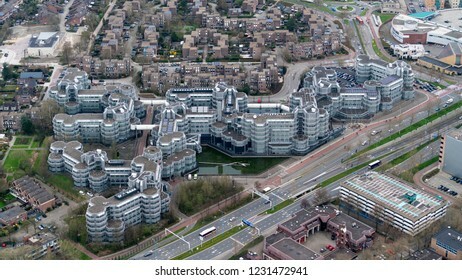 Aerial view of AIVD headquarters, the Dutch Intelligence Agency. The building is designed by architect Philip Rosdorff and has a honeycomb structure with aluminum. 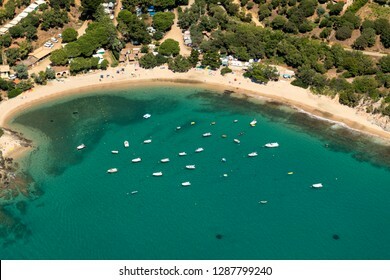 Aerial view of a rural beach at the french island Corsica in the Mediterranean Sea. A beautiful coast for snorkling, swimming and enjoying nature. The ocean water is crystal clear and azure blue. 13-9-2018, Rotterdam, Holland. 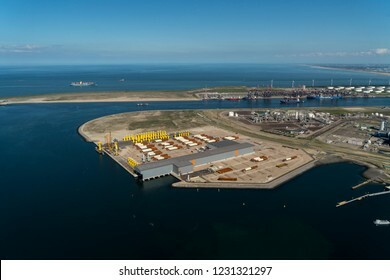 Aerial view of Tweede Maasvlakte with SIF Group in the front. In the back Euromax Terminal and on the clear horizon a blue sky and the Noordzee with huge containership. 13 September 2018, Rotterdam, Holland. Aerial view of powerplant from GDF SUEZ ENGIE at the Maasvlakte in the port of Rotterdam. 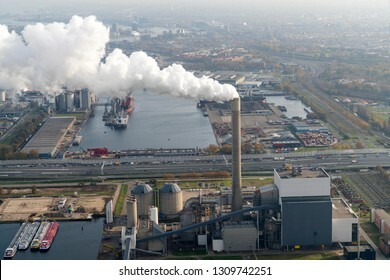 White smoke comes out of the chimney, environmental pollution. 14 November 2018, Amsterdam, Holland. 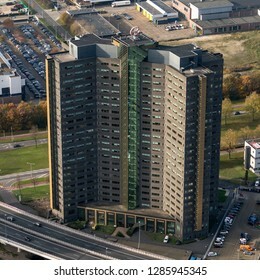 Aerial view of Millenium Tower, headquarter of RELX group also known as publisher Reed Elsevier. 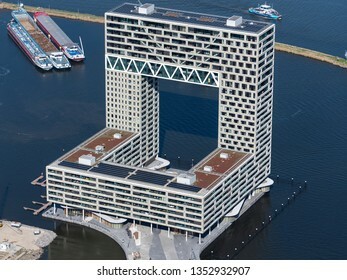 This is one of the highest skyscrapers in the Dutch capital. 10-10-2018, Amsterdam, Holland. 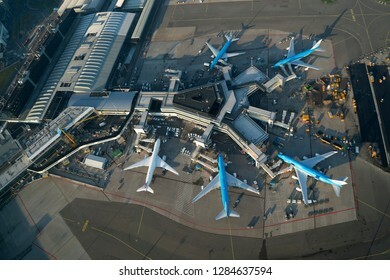 Aerial view of Boeing 777, PH-BVA, at Schiphol Airport from KLM Royal Dutch Airlines. 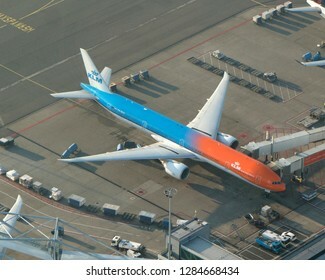 This plane is in blue and orange colours. 10-10-2018, Amsterdam, Holland. 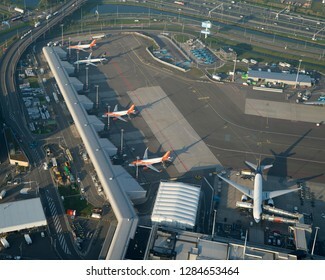 Aerial view of the E gate at Schiphol Airport with planes from Delta Airlines and KLM Royal Dutch Airlines. 10-10-2018, Amsterdam, Holland. 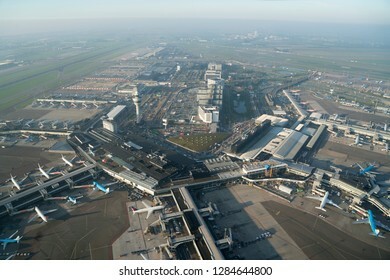 Aerial view of the M gate at Schiphol Airport. This is the lowcost gate with planes from Easyjet and Ryanair. 10-10-2018, Amsterdam, Holland. 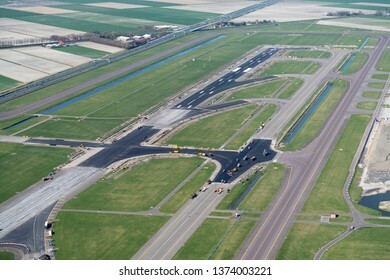 Aerial view of construction site of expansion at Schiphol Airport in The Netherlands. 10-10-2018, Amsterdam, Holland. 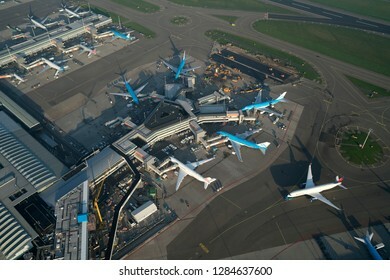 Aerial view of F, G, M, J gate at Schiphol Airport. The construction site for the expansion for the departure and arrivals hall is clearly visible. 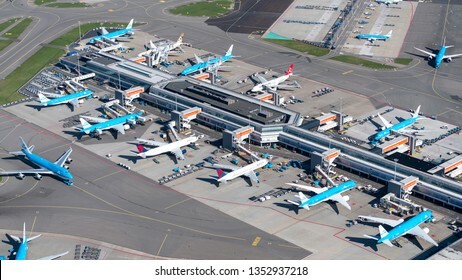 Most planes are KLM. 21 July 2017, Tilburg, Holland. 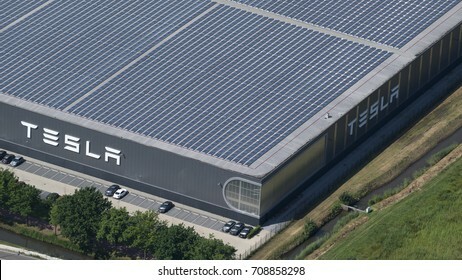 Aerial view of Tesla Motors assembly car factory. The roof is full with solarpanels. 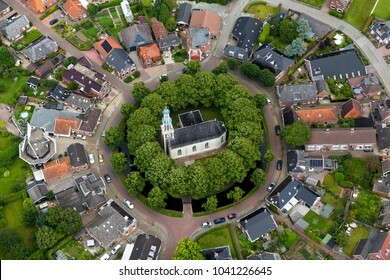 Aerial view of beautiful dutch village Spijk in the province of Groningen, Holland. The town is built on a terp or mound and has a church in the center of the hill. It has a circle pattern. 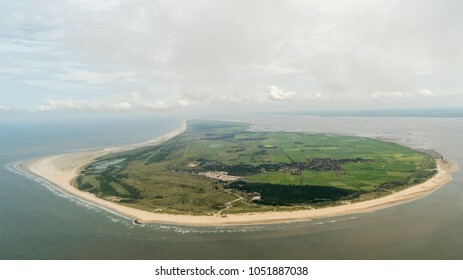 Aerial view of the UNESCO protected island Ameland, Netherlands, in the Dutch sea Waddenzee. It is a beautiful day with a clear horizon with some cumulus clouds. 6 August 2017, Enschede, Holland. Aerial view of soccer stadium Grolsch Veste during the UEFA Woman's Euro Final. The audience is orange coloured. 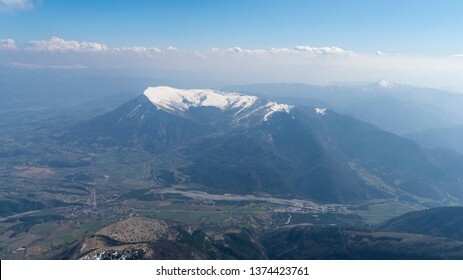 Aerial view of Montagne de Ceuse, a mountain in the French Alps with snow on the top. 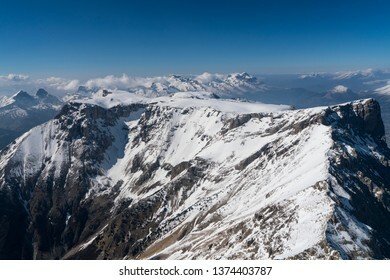 Aerial view of mountain ridge in the French Alps. 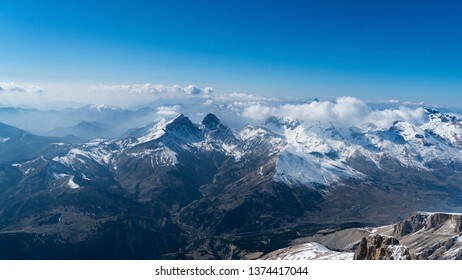 Peaks of 3000 meter high with snow, clouds and a crystal clear blue sky and horizon. 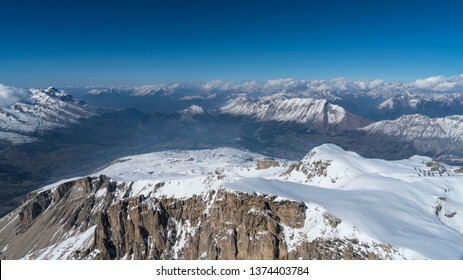 Aerial view of Pic de Bure in the French Alps near the city of Gap. 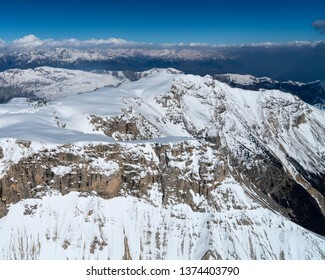 Bure Peak is a famous mountain with a top of 2709 meters. 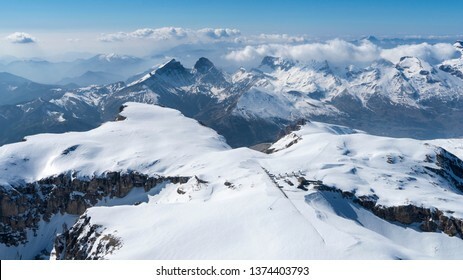 There is a lot of snow and a crystal clear blue sky with some clouds. 24 March 2019, Amsterdam, Holland. 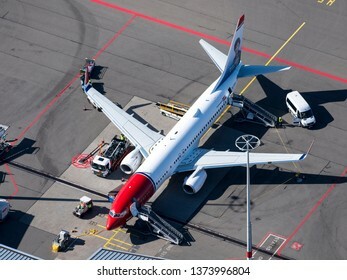 Aerial view of airplane Boeing 787 Dreamliner of Norwegian Airlines at Schiphol International Airport. At the tail of the aircraft a painting of Rosalio de Castro. 24 March 2019, Amsterdam, Holland. 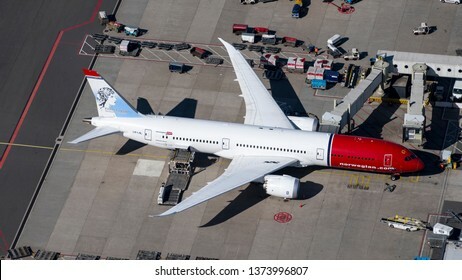 Aerial view of airplane Boeing 787 Dreamliner of Norwegian Airlines at Schiphol International Airport. At the tail of the aircraft a painting of Kirsten Flagstad. 21 July 2017, Nijmegen, Holland. 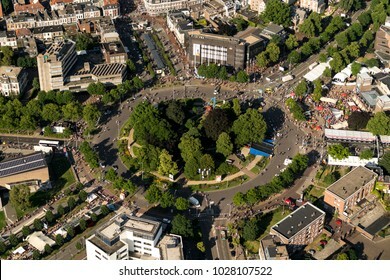 Aerial view of roundabout Keizer Karelplein during the finish of the Four Days Marches, the Vierdaagse. Lots of people on the street and big trees in the center. 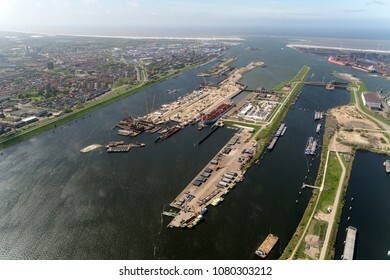 Aerial view of construction work at the new sluice in IJmuiden, Holland. 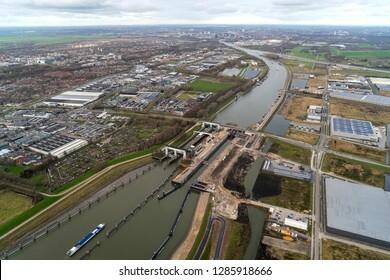 For the largest boats and ships a new sea lock is now being built in the Noordzeekanaal. 24 March 2019, Tilburg, Holland. Aerial view of Tesla Motors assembly car factory. On the roof many solarpanels and on the parking lot the stock with sold and unsold cars. 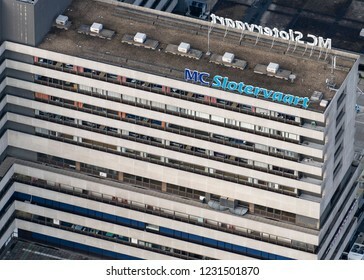 24 March 2019, Tilburg, Holland. 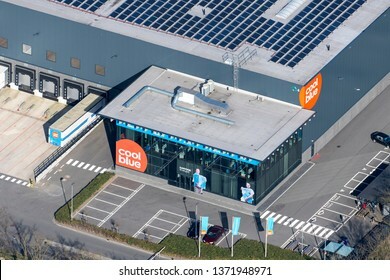 Aerial view of main entrance headquarter and distribution center of online company Coolblue. 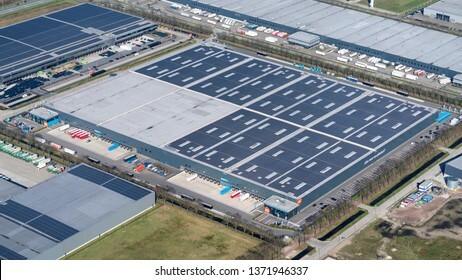 The largest dc in The Netherlands. The logo is orange with white letters. 24 March 2019, Tilburg, Holland. 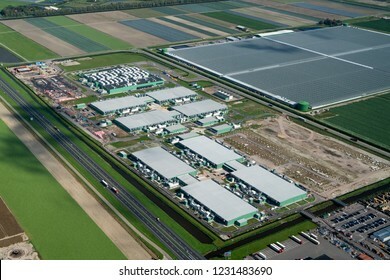 Aerial view of headquarter and distribution center of online company Coolblue. 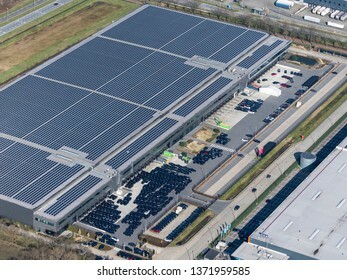 The largest dc in The Netherlands with 23000 solar panels on the roof. 28 June 2018, Middelburg, Holland. 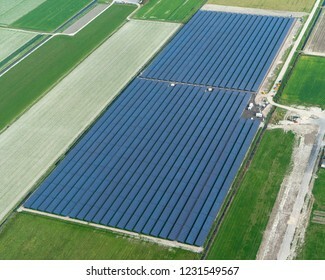 Aerial bird view of solarpark De Mortiere. The photovoltaic powerstation supplies the city with green energy. 21 June 2018, Hoofddorp, Netherlands. 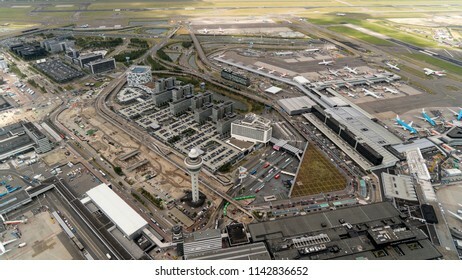 Aerial bird view of Schiphol Amsterdam Airport on a cloudy day. The airport is a big construction site due to expansion. 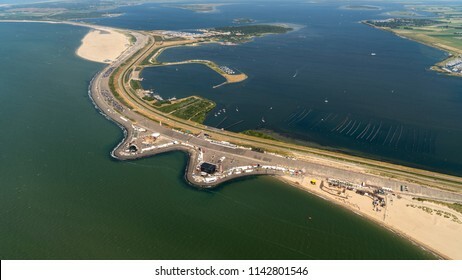 Aerial view of the Brouwesdam in Zeeland, Holland. On the left sea Noordzee and on the right lake Grevelingenmeer. 21 June 2018, Amsterdam, Holland. 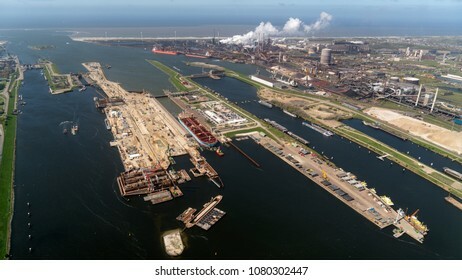 Aerial view of petrol industrial zone in the Afrikahaven. 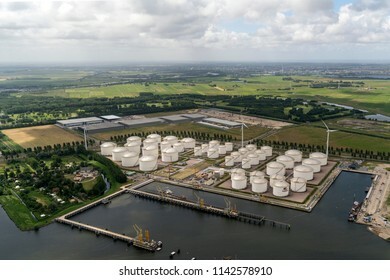 Vopak is a Dutch company that stores and handles various oil, chemicals, edible oils and natural gas. 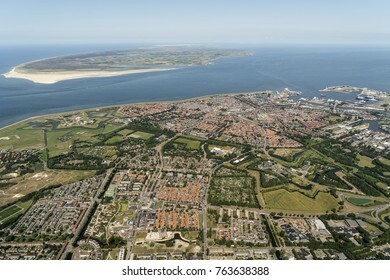 Aerial view of city Den Helder in Holland. In the back Wadden island Texel. The huge sandy beach is militairy terrain DE MOK. The Wadden are on the UNESCO world heritage list. 1 December 2018, Werkhoven, Holland. 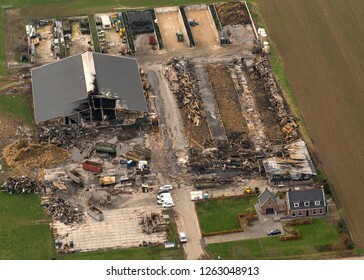 Aerial view of a burned down barn at a farm in The Netherlands. A police car is parked at the drive way because the owner of the farmhouse has just been arrested. 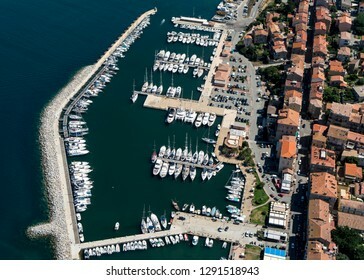 Abstract aerial view of storage of yachts in a boatyard in winter time. Boats are all packed together in this harbour in Hoorn, Netherlands. The pattern gives an abstract view. 14 November 2018, Amsterdam, Holland. 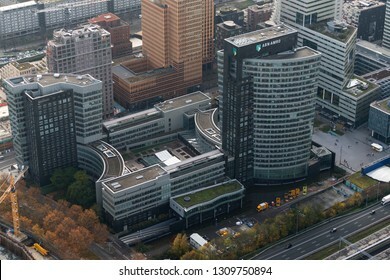 Aerial view of headquarters of ABN AMRO Bank at the Zuidas in Amsterdam, next to highway A10. 5 October 2018, Eindhoven, Holland. Aerial view of construction site of parking garage at Eindhoven Airport. The car park collapsed in 2016 and is now being rebuilt. 15 May 2017, Rotterdam, Holland. 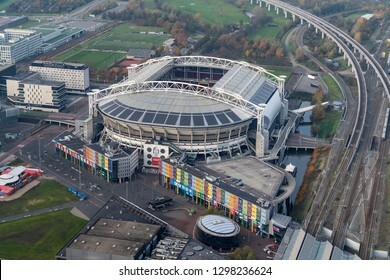 Aerial view of Feyenoord soccer stadium De Kuip. 4 June 2017, Hilversum, Netherlands. 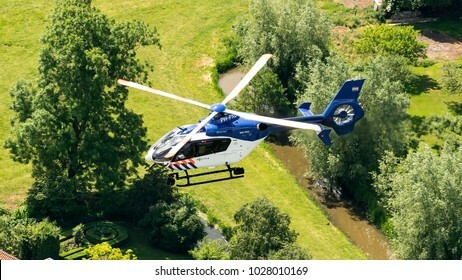 Air-to-air aerial view of police chopper (Eurocopter EC-135) from the Dutch Politie above green trees and a gras. 24 March 2019, Amsterdam Holland. 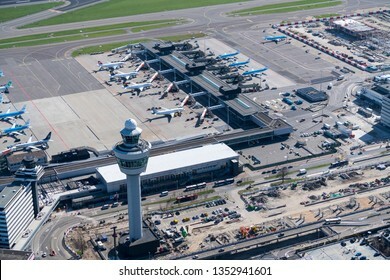 Aerial view of control tower at Schiphol Airport. Behind a terminal with jet planes from KLM Royal Dutch Airlines, Lufthansa, Swiss and Vueling. 24 March 2019, Amsterdam Holland. 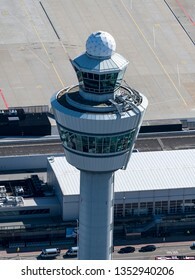 Aerial view of control tower at Schiphol Airport. 24 March 2019, Amsterdam Holland. 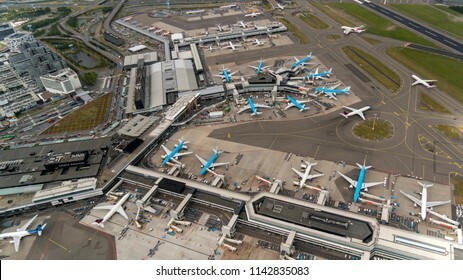 Aerial view of terminal E Gate at Schiphol Airport with many jet planes from KLM Royal Dutch Airlines.